Since Chrome has updated, a new home and app launcher have become available for anyone with the public download of chrome. I've been using the developer edition, and it runs most of the latest software. Soon, I'll share more about how Chrome for Windows has changed quite a bit, working as if Chrome OS was running alongside Windows. Next, here is the new chrome home page. We should probably dive in, and if you'd like to download the developer editions, click here. This new logo was rumored to be taking the old logo down, but as Google announced, this would be a flatter-edition of their popular logo live on their website. 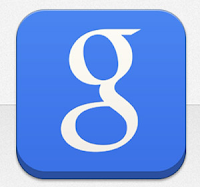 Chrome and other parts of Google will use the logo but the site still might keep the shadows for a while more.